LinkQuest Inc. is a leading manufacturer of precision acoustic instruments for offshore and oceanographic applications. 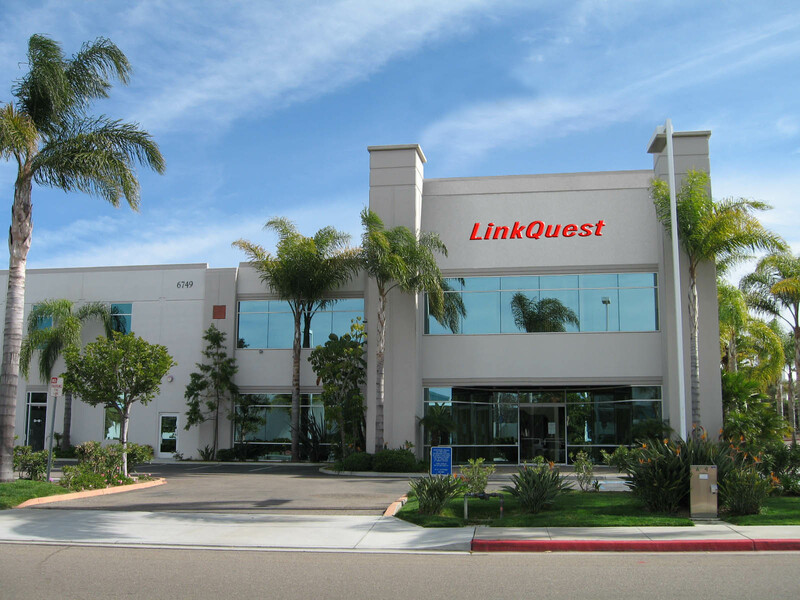 Located in San Diego, California, LinkQuest Inc. is renown worldwide for innovation, capability and product quality. Our innovative Broadband Acoustic Spread Spectrum (BASS) Technology sets new standard for acoustic communication and positioning. LinkQuest’s FlowQuest Acoustic Current Profilers and NavQuest Doppler Velocity Logs provide highly competitive solutions for current profiling or precision underwater navigation applications. LinkQuest's EchoSweep 300 Multibeam Echosounder is a high-resolution, highly robust and cost-effective swath bathymetric system for mapping of sea floor, inland waterways and reservoirs. LinkQuest Inc. is the only company in the world capable of producing sophisticated underwater acoustic modems, USBL tracking systems, acoustic current profilers, Doppler velocity logs and multibeam echosounders. LinkQuest Inc. is among the world's top innovators in underwater acoustic technologies. Two of LinkQuest's co-founders hold Ph.D. degrees in Electrical Engineering and Computer Sciences from University of California at Berkeley. Our engineering staff, more than 15 of them holding Ph.D. degrees, have many years of in-depth industrial and academic experiences in broadband underwater acoustics, high-speed digital modems, spread-spectrum wireless (cellular) modems, acoustic Doppler technology, broadband transducer, array signal processing, digital imaging processing, advanced DSP hardware and software, telecommunication networks and protocols, and precision navigation. LinkQuest invests heavily in R&D and currently produces six lines of products. LinkQuest is the dominant supplier of underwater acoustic modems in the world. Its SoundLink High Speed Acoustic Modems transport more than 95% of the world's acoustic communication data. These systems have set a series of technical performance records in field deployments all over the world. The high-speed, power efficient underwater acoustic (wireless) modems represent quantum leaps in underwater acoustic communication. Based on the proprietary Broadband Acoustic Spread Spectrum (BASS) Technology, LinkQuest's modems achieve unprecedented wireline quality in wireless underwater communication under harsh ocean environments. They have formed the world's largest underwater acoustic communication networks with hundreds of nodes. LinkQuest's line of TrackLink Acoustic Tracking Systems provide the world's most robust, accurate and cost-effective Ultra Short BaseLine (USBL) solutions. The TrackLink systems are the world's best selling USBL tracking systems. These systems are capable of rejecting severe ship noise and multipaths. They provide substantial cost savings when compared with competing products. Fully integrated with LinkQuest's most advanced high-speed acoustic modems, they significantly reduce the total system size, weight and power consumption and eliminate acoustic interference. NavQuest Doppler Velocity Logs (DVL) are ideal for precision underwater navigation and positioning of underwater vehicles. With their capability for fast and accurate velocity output, significantly longer range and smaller minimum altitude when compared against similar products, the NavQuest Doppler Velocity Logs (DVL) are the excellent choices for underwater precision navigation applications. PinPoint LBL Acoustic Positioning Systems are highly robust and accurate Long BaseLine (LBL) positioning systems. These systems have superior capability in rejecting multi-paths. They excel in narrowly confined, long-range shallow water and noisy environments. Precision Marine Geodetic System is the world's only commercial acoustic positioning system capable of better than 0.5 cm in accuracy. These systems have been extensively deployed for Tsunami and earthquake monitoring and prediction. Since 1998, LinkQuest's products have been extensively deployed in more than 75 countries around the world for offshore oil exploration, construction, drilling, survey, environmental study and other oceanographic applications. LinkQuest has earned an extraordinary reputation in terms of product performance, product quality and customer support.